Thirty-six years ago today, Dr. Noah Drake walked into General Hospital in Port Charles and the wonderful RS fan(s) that post on the rsandus YouTube page (and put together the Rick Springfield and US fan site), have worked to present those days of “General Hospital” in real time (only 36 years later). The clips only include the RS scenes. He’s so cute. I was 11 when this first aired. He was 31. Sixteen years younger than I am today. That’s so weird, can’t think about that too much so I’ll just watch and enjoy. From his first role in 1977 on “Six Million Dollar Man” (if you don’t count his animated character in “Mission Magic” from 1973-1974) to next month’s role as Lucifer in “Supernatural,” RS has been acting for nearly four decades. So although acting was initially more of a way to make money during slow times in his musical career – he has always said that music comes first for him – he still has quite an impressive IMDb profile. Plus there’s TV movies, TV series, ( “Human Target” in 1992 and “High Tide” from 1994 to 1997), two years of a Las Vegas show (“EFX,” 2001-2002) and even a stint on Broadway (“Smokey Joe’s Cafe” in 1999). He’s also featured in two documentaries: “Affair of the Heart,” made by fans about his impact on his fans’ lives, and “Sound City,” produced and directed by Dave Grohl. 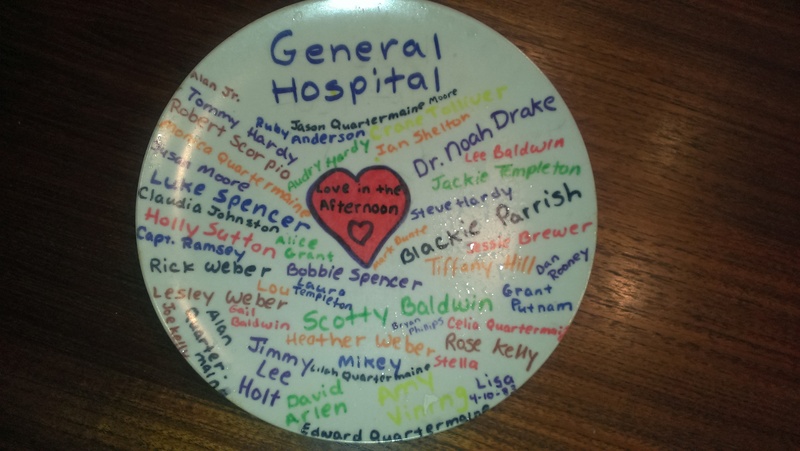 Whoops, I’m already on the sixth paragraph of this post and I haven’t even mentioned “General Hospital” yet. 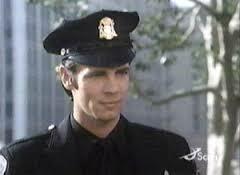 Can’t forget Dr. Noah Drake, his most popular character and the role that catapulted his career along with the release of “Working Class Dog” in 1981. Then there’s those 18 studio albums, too, with one Grammy award and eight songs charting in the Top 20 on the Billboard charts. And a bestselling memoir and a bestselling novel. Plus he’s still touring and producing new music. And yet in many people’s minds, he’s a one-hit wonder soap opera star. About a year ago at this time, we were waiting for the premiere of “Ricki of the Flash,” in which Rick Springfield played Greg, a nice aging rocker who played in a bar band with his girlfriend (played by Meryl Streep). Yesterday, it was announced that RS is filming another aging rocker role – but one very different from Greg. In the tweets following the announcement of this “Supernatural” role, some tweeters tweeted about whether RS would now sing “Jessie’s Girl” at future comic-cons. In real life, RS is more of an ageless rock star. With a new album that came out earlier this year (“Rocket Science”), the new film scheduled to come out sometime this year (“Traces”), a national tour (with both full-band shows and solo shows) and now this TV show (“Supernatural”), this rock star sure has a lot going on. Rick Springfield’s film debut “Hard to Hold” came out 32 years ago today. I’m pretty sure I know what was on my 14-year-old mind that day. A question that you probably wouldn’t hear today is whether he envisions the music video as he’s writing a song. Even then he was gracious during an interview; he looks a little bewildered by a couple of the questions.